We have enjoyed visiting Tarpon Springs since the late 80's whens Fred's Mom and Dad lived in New Port Richey. 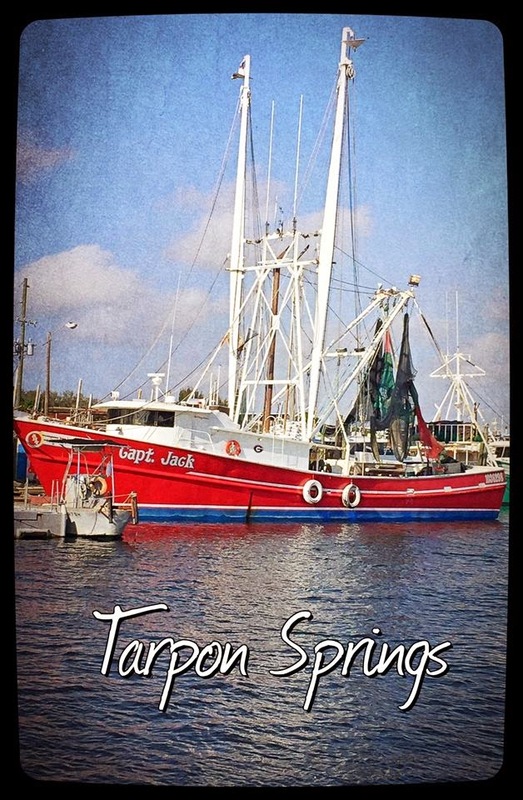 They introduced us to the Sponge Docks of Tarpon Springs once when we were visiting. We have gone back every time we are in the area. It is a great town, rich with history and Greek culture. 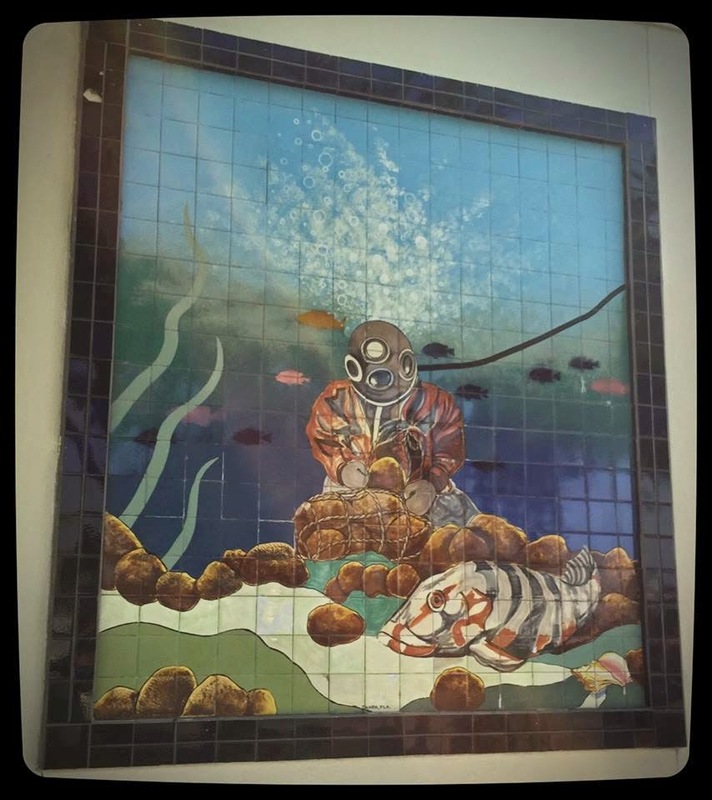 Tarpon Springs was once home to a thriving sponge industry, that recruited divers from Hydra, Aegina and the Dodecanese islands of Kalymnos. These divers, more than 1500 of them, and their families created a new home for themselves in Tarpon Springs. You can enjoy wonderful Greek food while shopping for natural sponges, spices and olive oil soap. We enjoyed the old buildings and ships and smiled to overhear conversations in Greek in this little Florida city. Fred and I cam home with 2 large bottles of Cavender's. It is our go to grill seasoning for fish, chicken and pork and we can always find it in the grocery market in Tarpon Springs. We enjoyed the shopping and having a walk along the sponge docks but this trip was really all about the company and the food. Our camper is currently parked in Ocala but 2 hours is not too long to drive for the perfect Gyro. We met Fred's sister Nancy and her husband Bob at their house and headed out. We planned to meet up with Aunt Leona and Uncle Chico Luse and Uncle Ed Bonneau and Carol to visit our favorite Greek restaurant Plaka. We were very disappointed to find Plaka closed and it's windows covered over with paper. Plaka's Gyros are legendary, at least in our extended family. We have been known to call or text one another pictures of ourselves enjoying them. A phone call starting with "Guess where I am?" Can usually be answered with "Tarpon Springs, have one for me". Hella's is the next best thing, so we headed next door and found a table for 8, where Constantine our waiter took very good care of us. We lingered over traditional Greek salad and Gyros for all. The wonderful thing about Hella's is the bakery that is on premises. Fred taunted his cousin Geri with a picture of him and her father enjoying their first bites. After dinner we walked next door and each ordered take out of our favorites. Fred and I got almond cookies filled with apricot and covered with slivered almonds. The atmosphere was wonderful, the food was great and the company was spectacular. Looks like you had a great day. 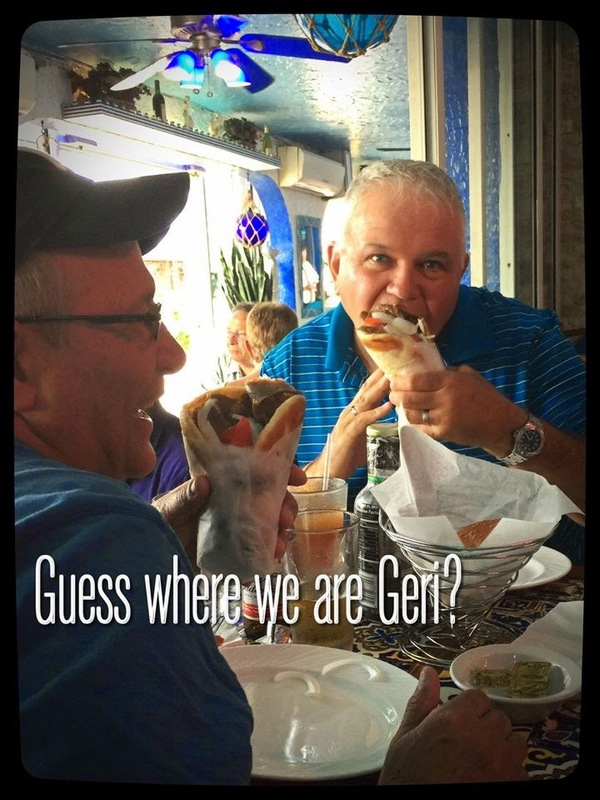 Connie and I have always enjoyed Gyros (she found them when she was cruising in Europe). If we are ever back in this area, we will have to make out to Tarpon Springs. P.S. My grandparents also lived in New Port Richey for a few years back in the 1970's after they had retired. I love the small coincidences that keep us all connected. We always liked coming to Tarpon Springs. It reminds us a little of another place we like Rockport, MA. I like being by the sea. Mike, it a small world. My Mom and Dad lived in New Port Richy after retirement. Also Tarpon Springs is only about a hr. from Tampa.